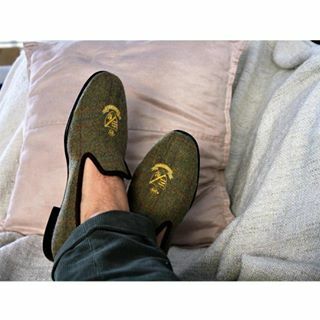 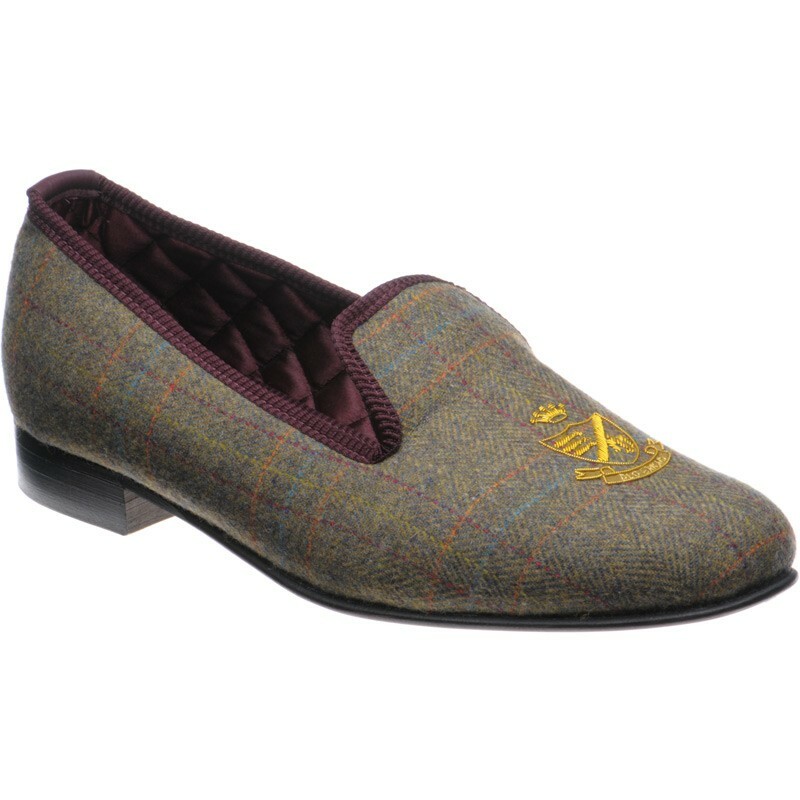 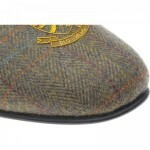 Herring Balmoral is an exquisite house shoe made in our own unique Herring tweed, manufactured by the historic Fox Bros Mill in Somerset. 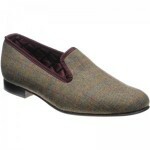 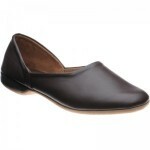 The lining is Burgundy quilted and the sole is full leather with leather heel. 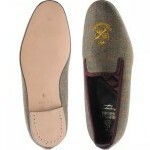 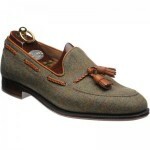 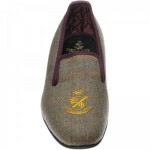 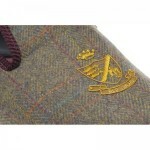 The slipper carries the Herring crest which is hand embroidered using a gold bullion wire.